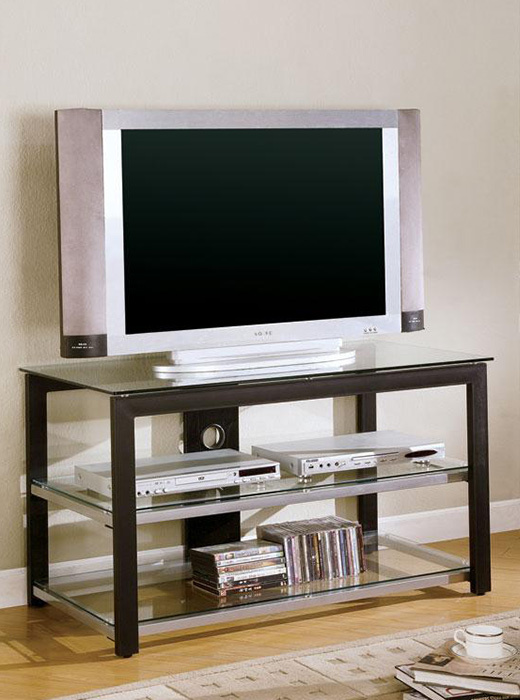 This beautiful TV stand will add a sophisticated look to your contemporary living room or family room. The sleek metal and glass construction is simple but distinctive. 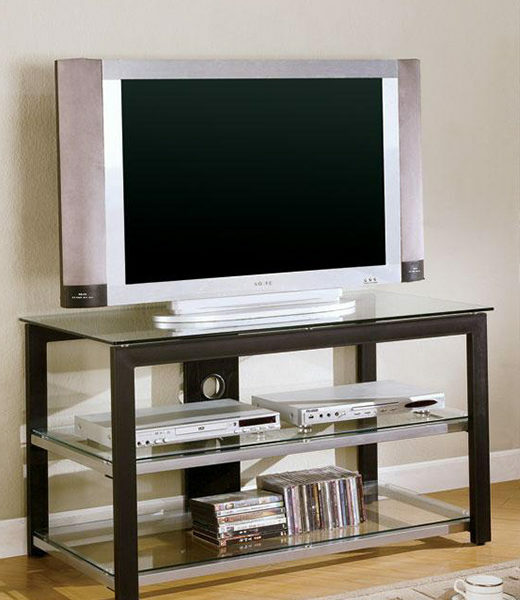 This beautiful TV stand will add a sophisticated look to your contemporary living room or family room. The sleek metal and glass construction is simple but distinctive. A generously sized glass top surface will accommodate your television, while two lower glass shelves are ideal for electronics components, movies, and other media items. A straight Black metal frame, and sleek Silver shelf supports create a chic style that will blend beautifully with any decor. The metal back support features a cord hole to keep your equipment organized. Add this lovely TV stand to your home for a fresh update that everyone will love.